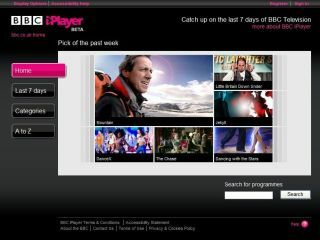 BBC to launch international iPlayer with Google's help? Director General of the BBC Mark Thompson is apparently in talks with Google's Eric Schmidt about bringing the iPlayer to an international audience. The Telegraph is reporting sources close to Thompson have revealed plans for an international service which will link up with YouTube. It is uncertain quite how this will work, but the BBC has certainly been bolstering its partnership with YouTube recently. Just today, the BBC announced that clips from its worldwide nature channel BBC Earth can now be found on their own channel on the video-sharing site. A BBC spokesperson didn't deny the rumour but told the Telegraph that: "There are a significant number of obstacles to extending this commercially to other countries, including international rights clearance. "These obstacles present significant difficulties and for this reason there are no firm plans for a specific international BBC iPlayer, but audiences can watch BBC content outside the UK through numerous BBC Worldwide content deals with online partners such as iTunes." One of the main reasons iPlayer works for the BBC is because of its DRM. Shows on the service disappear after certain times, so that the content can then be re-sold on DVD and the like. This is something that doesn't quite fit into YouTube's handling and archiving of content. Whatever happens, bringing the BBC's long-form content the web worldwide can only be a good thing for the company, and given the success the broadcaster has with its BBC Worldwide channel, it is something the rest of the world could embrace as well.